Best Hard Rock Singer Of All Time? Cool Hat on Blackmore interview on The Quietus. 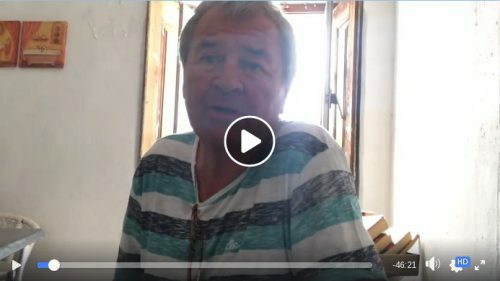 Italian station Radio Rock has posted an extensive interview they did with Ian Gillan near his home in Portugal on the occasion of Ian Gillan & The Javelins release that happened back in August. Ian talks at length about life of a musician in the early 60s, how the project came about, why it is highly unlikely they will ever play live, and many other things. The interview is posted in the walled garden of Facebook, so we can not show it here. Head over there to watch. Thanks to Yvonne for the info. Posted by Nick Soveiko on Wednesday, December 5th, 2018, filed under News. You can follow comment on this post through the RSS 2.0 feed. You can skip to the end and leave a comment. Pinging is currently not allowed. No more cane on the brazos ! @ 1 He’s not that “little”.. probably taller than you. And definitely bigger.. Souls forever intertwined, a nice way to put family & friends. Sad news this morning in regards to Lee Kerslake, ‘The Bear’. Unfortunately it looks like Lee will lose his health battles in the near future, according to his recent & touching interview with Metal Voice. A wonderful musician & all round nice guy indeed! He was with Ian Paice recently, dual drumming & chatting etc! I watched that clip online a month or two ago, great to see! He talks about that & other musicians & family etc, in a 40 odd minute interview. Now, can the O$bourne’s hand over Lee’s platinum discs that he so rightly deserves. Lee is also looking at a crow funding fundraiser for his documentary that is in the pipeline! God bless Lee & many others. Cheers. Lee Kerslake crowd funding that should be, from my previous comment. Cheers. Preview no longer available -- once you press Post, that's it. All comments are subject to moderation policy.